Mintek has developed considerable experience in heap leaching and heap bioleaching, and has undertaken an advanced research programme investigating the high-temperature heap bioleaching of low-grade chalcopyrite. This has culminated in the design, commissioning and operation of the copper heap bioleaching pilot plant shown below. This facility was operated in closed circuit with a SX-EW plant in which full-sized copper cathodes were produced. 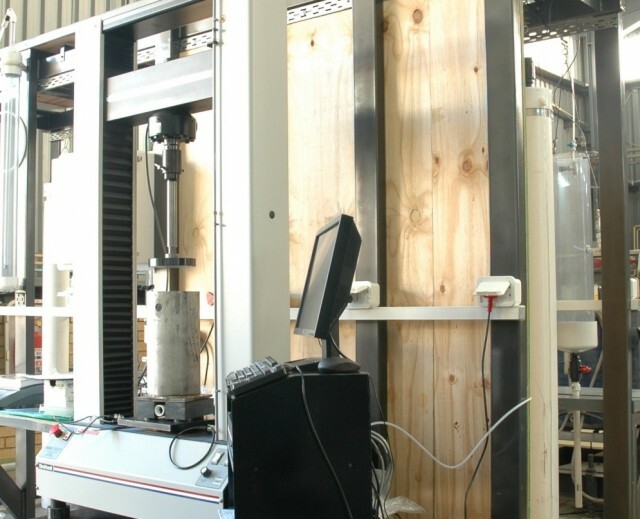 Extensive facilities exist for the performance of heap leaching test work, which include several features that are unique in the world. 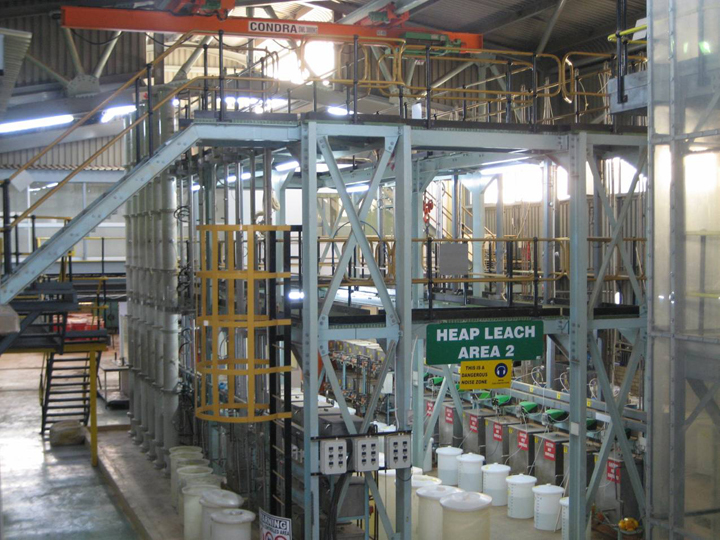 A photograph showing one part of the heap leaching test facilities appears below. As part of continued efforts to improve the fundamental footing for heap leaching design, research is ongoing on gangue leaching and ultimately the mathematical simulation of the in-heap fate of gangue minerals and acid in 4D. 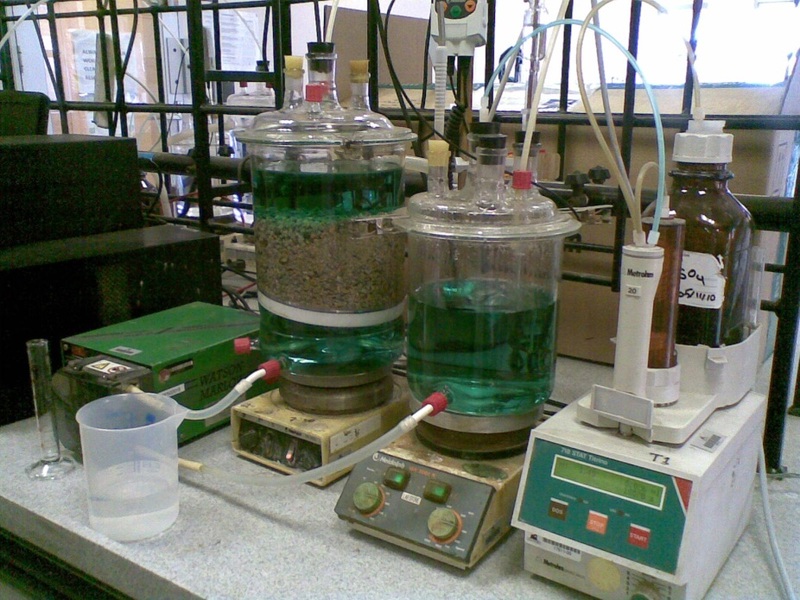 Some of the apparatus involved in that research is shown below. Furthermore, a set of apparatus is available for the direct measurement of the geomechanical parameters governing ore compaction and permeability, shown below. Mintek has also developed the HeapStar® heap leach administration and operational guidance system for use in pilot and commercial heaps. The software is used for data logging, registering and tracking various cells, solution management and operational guidance. Bacterial heap leach cycles are divided into distinct phases, with irrigation and aeration schedules indicated by the guidance system.